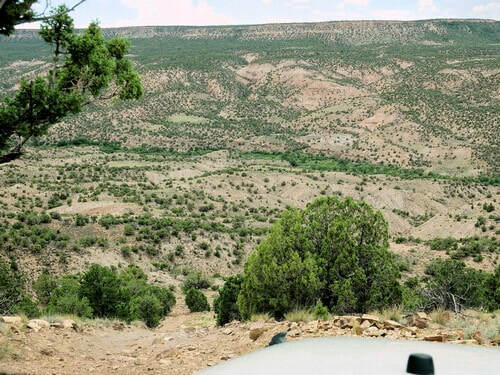 The primary purpose of this trail is to access six of the seven Dry Creek rock crawling trails. It also provides access to Tabeguache 3.5. 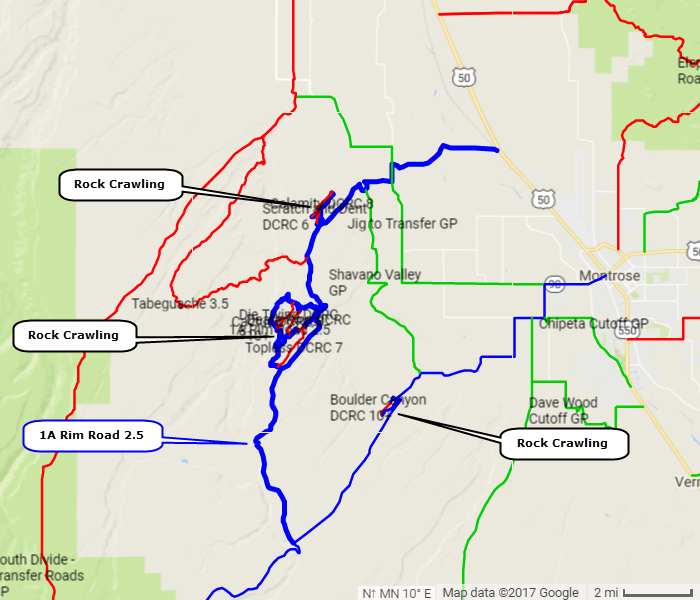 Rim Road, as shown on this website, runs from US 50 to Divide Road GP. 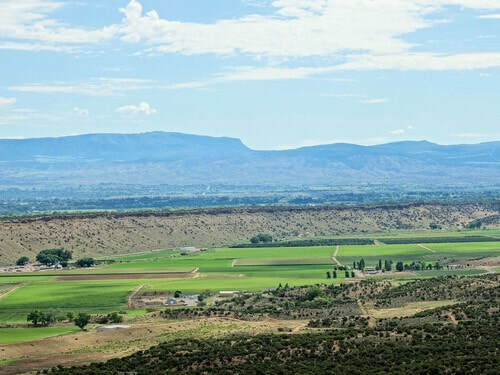 It occasionally approaches the "rim" above Shavano Valley and this may be how the name came to be. This is not a typical Access Road as found on most of this website. 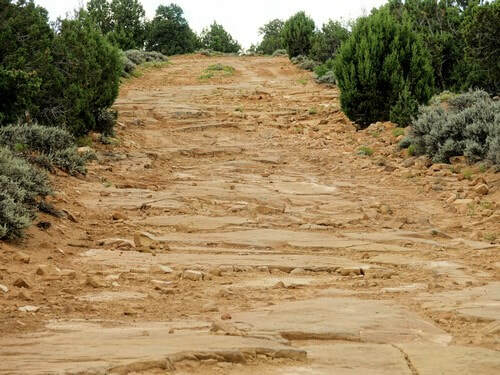 This road includes several very minor trails that lead to and from the Dry Creek rock crawling trails. The purpose of this is to show the true lengths of the rock crawling trails, not including entrances and exits. Several stretches of the main access road are extremely rough and slow where all soil has washed off and left only exposed ledge. The bad spots seem to go on forever. Not difficult, but very uncomfortable. The trail is rated 2.5 but there is a 3.0 rated hill between the two southern exits of Cactus. The hill is steep and loose, and there is a slightly undercut shelf at the very top of the hill. People driving stock Jeeps might not like it.